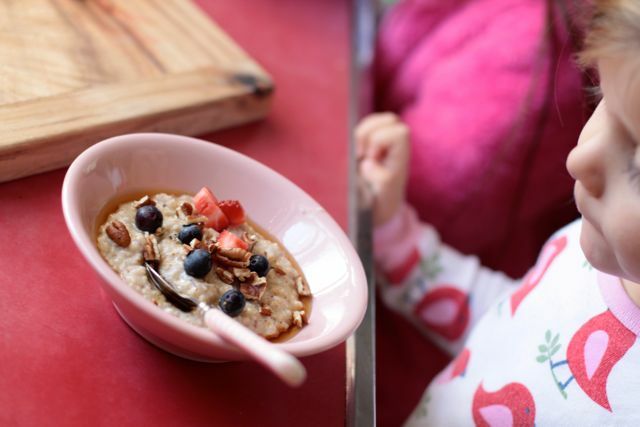 One of our favorite things to eat in Winter (besides soup) is porridge. 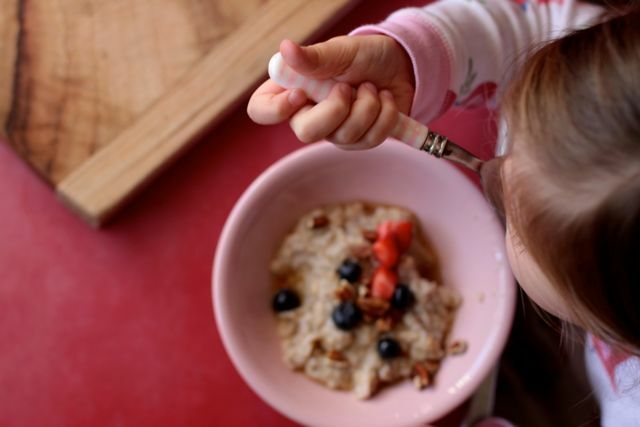 Maya has eaten porridge for breakfast 43 days straight, and I thought to myself – if our porridge is that good, then I should share the secrets of our favorite breakfast. You would think Maya might get tired of porridge, but she does not and you will see the reason why. 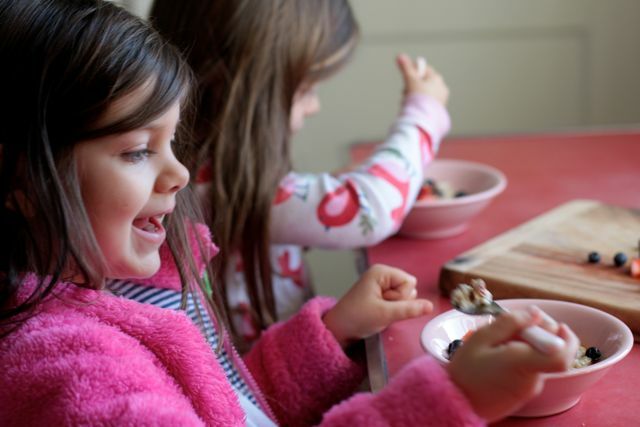 Porridge to my Girls is like an ice-cream Sunday for breakfast. They get and array of toppings to choose from, and mostly they are sweet. Sometimes it will be porridge with brown sugar, sometimes it will be with honey, and our very favorite is porridge with maple syrup. 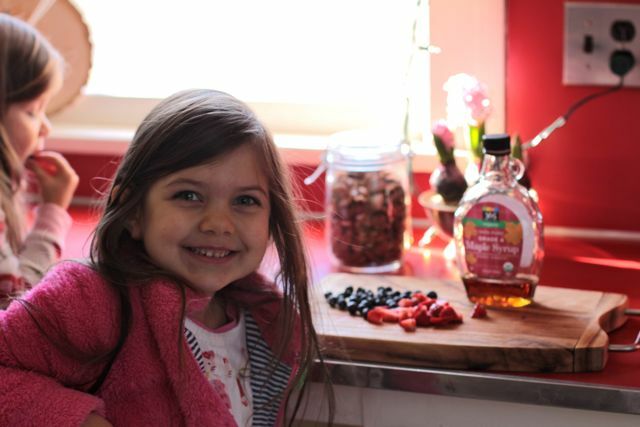 We then add fresh fruit, either apple or berries, or dried cranberries or raisins, and some pecan nuts. So what is my method? Well, when I cook the porridge I make it half with whole milk, half with water. I also add cinnamon and ground flax-seed. 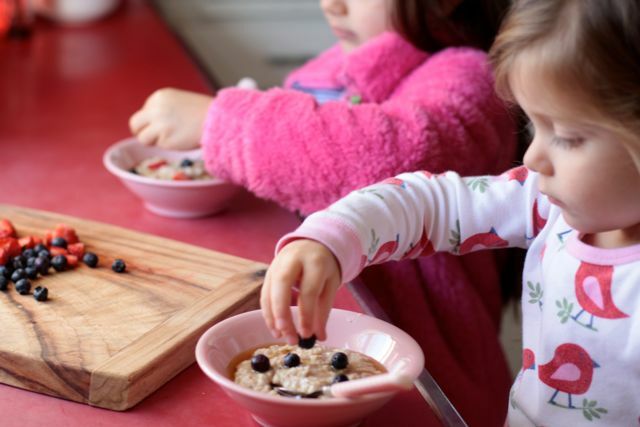 I have been using quick cooking oats as we get up at 7am and Maya leaves for school at 8am and I make it fresh each day so quick oats have come in handy…because they really are quick. In less than 5 minutes they are cooked. Once the porridge is cooked I add more milk to make it creamier and also to cool it a little for instant eating. I do all of this in a small pot on the stove top, and I always, yes always, use my special porridge spoon. 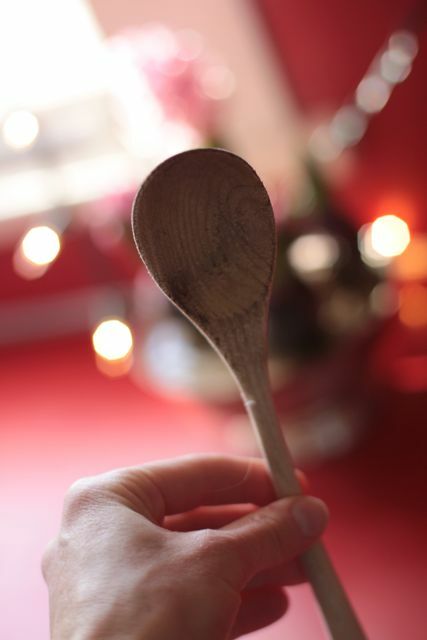 This is a wooden spoon in my utensil drawer dedicated completely to porridge. 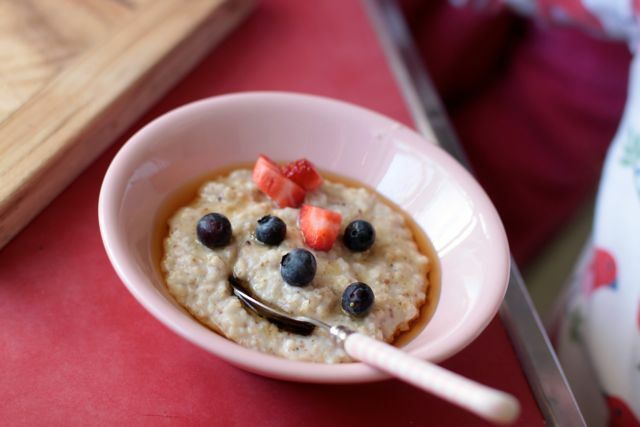 I bought it 6 years ago and have used it for nothing but porridge since – a little quirky for sure! While I cook the porridge the girls decide which toppings they want. I too am a porridge lover and make enough for all of us…unlike the Girls, my topping never varies. I always have maple syrup, pecans and a dollop of butter (the children do not get butter, but this Momma needs the fat!). I feel good about serving this to the children and know the benefits of sending Maya off to school with a hot nourishing meal in her tummy. Porridge sustains us. This version of porridge is high in fiber with protein and carbohydrate as well as the omega 3 essential fatty acids from the flax-seed. 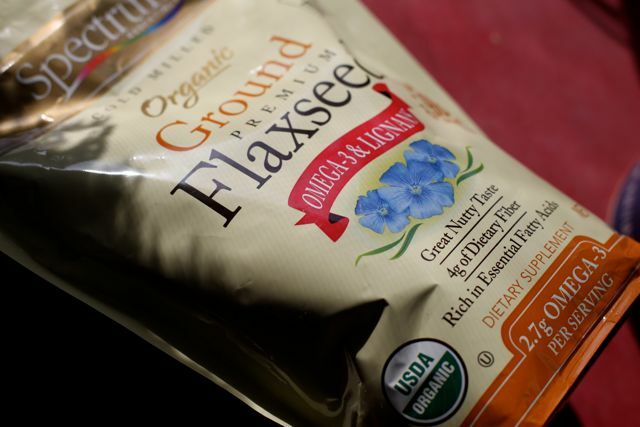 Did you know that flax-seed is great for regulating hormones and maintaining beautiful hair, skin and nails…and best of all it comes from a plant source instead of a fish. 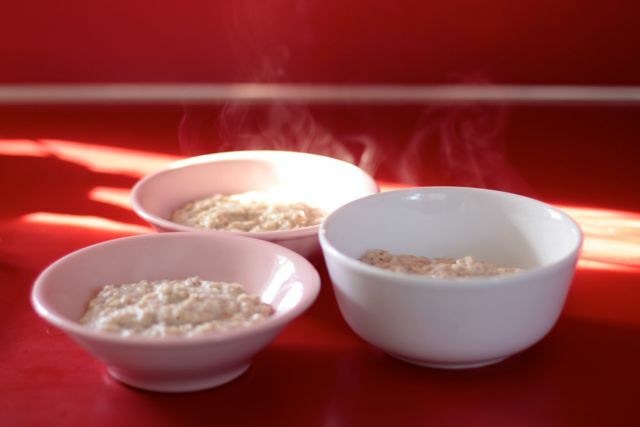 I hope you too are one of the lucky ones, loving a hearty bowl of porridge for breakfast during the colder months – I know there is a whole heap of porridge eating peeps out there devouring it. Enjoy! This entry was posted in E A T and tagged eat, winter. 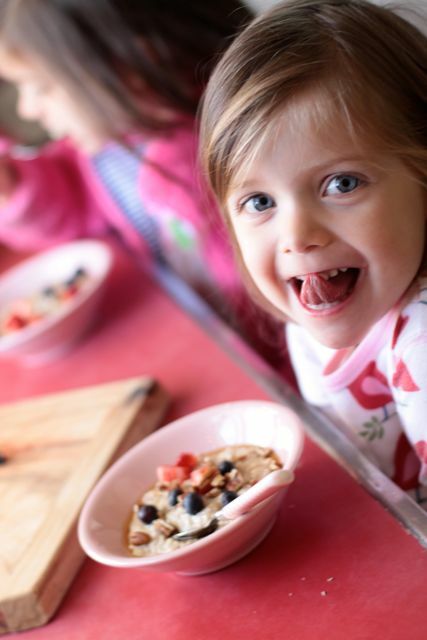 Sienna also has porridge most mornings – although I cannot imagine her having it 43 days straight – she likes to mix it up with avocado on toast (with cracked pepper and salt) …. 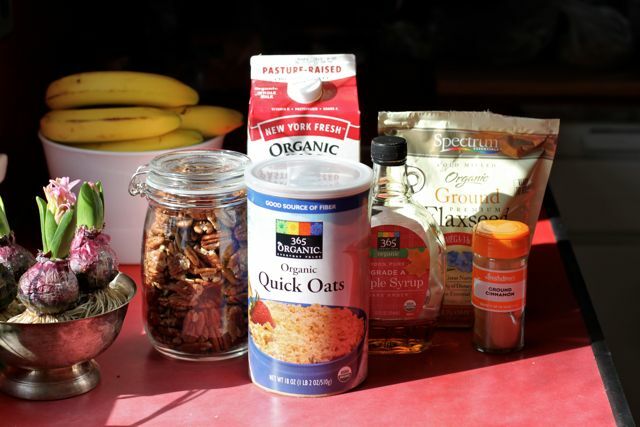 just like you, we cook our quick oats with half milk, half water, and we also add cinnamon and … salt …. although I am now going to try it with ground flax-seed ….. and then it is brown sugar and a little milk .. and sultanas on most days (neither of us have tried fresh fruit with our porridge, as neither of us can get past the cold and hot thing!) …. maple syrup and butter as condiments will be next on our list of potential toppings though!! What a great start to each morning! Keep it up Elle and Maya!! Maya has since broken her porridge run with fruit toast! Still porridge most mornings though! 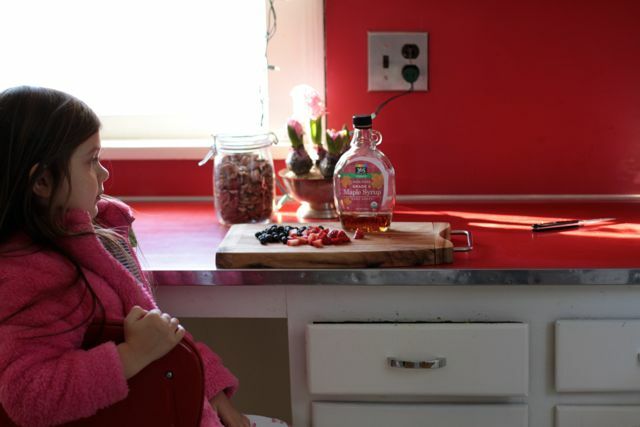 I am not a fan of fruit on porridge, excpet raspberries or blue berries…but not very often – maple will always be my fav!